← Is Google Play the App Store Killer? The NEW iPad is everything I’d hoped for…and more! This is a screen shot I grabbed from ABC News' blog. 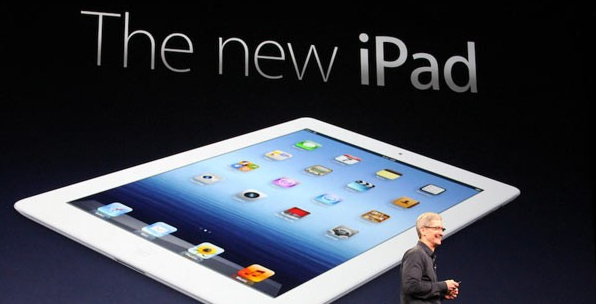 About an hour ago, the folks at Apple got to the part of the day’s presentation that I was waiting for, the new iPad. Since I wasn’t invited, I’ve been following Sam Grobart’s (of the New York Times) live blogging from the event. You’re doing a great job Sam! I feel like I’m there! Do these guys know how to name a product or what?! Finally, it’s being released March 16th! And pre-orders are being taken today…how much money do I have in my account? The New iPad will be here in 9 days. Now who’s planning on camping outside of Apple to wait for one?